Manchester City head to Watford on Saturday afternoon, a match between two unbeaten teams after four Premier League matches this term. 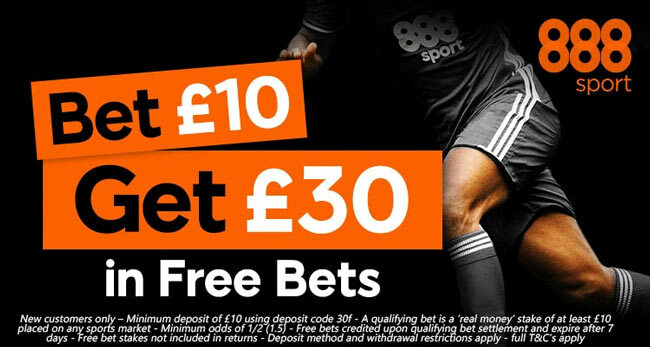 This article contains our WATFORD v MANCHESTER CITY betting preview with predictions, betting tips, starting XI, team news, betting odds, bookie offers and no deposit free bets! 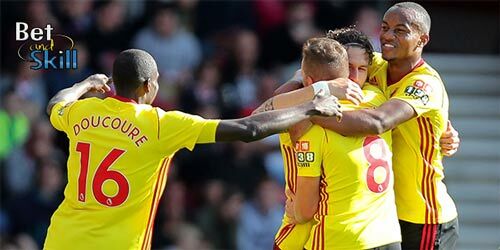 After a run of six-successive defeats to round off the 2016-17 campaign under Walter Mazzarri, Watford have won two and drawn two of their four Premier League matches so far this term. They did manage to hold Liverpool on home soil at the start of the season (3-3), won 0-2 both at Bournemouth and Southampton and recorded a goalless draw at home against Brighton. Their only negative result came in the EFL Cup, as they were knocked ot by Bristol City (2-3) on 22nd August. Watford have never beaten Manchester City in the Premier League, losing four of their six clashes (D2). Marco Silva will be without Younes Kaboul, Sebastian Prodl and Craig Cathcart as they are all out through injury. Miguel Britos is suspended and, as a result, Christian Kabasele and Molla Waguè are expected to play as centre-backs, with Jose Holebas and Kiko Femenia as full backs. Nathaniel Chalobah and Abdoulaye Doucoure should continue at the base of midfield in the 4-2-3-1 formation, with Richarlison, Guido Carrillo and Tom Cleverley appearing probable starters in the advanced midfield positions. Roberto Pereyra has returned to full training and could play at some stage. Andre Gray is expected to continue as the lone striker, with Troy Deeney the main alternative. Manchester City meanwhile have won three and drawn one of their first four Premier League fixtures. Their only slip was at home against Everton (1-1). They enter this clash on the back of a 5-0 home victory over Liverpool last weekend and a 4-0 away success at Feyenoord in midweek's Champions League duty. The Citizens have scored nine goals in their last two matches and and are starting to fire on all cylinders. Altough their impressive recent performance, it appears they still have issues to iron out defensively. Pep Guardiola opted for a four-man defence in midweek and could go with a 4-1-2-3 formation at Vicarage Road. Vincent Kompany remains a major doubt for the trip to Watford due to a calf injury. Danilo was omitted against Feyenoord, so he is a possible option to replace either Kyle Walker or Benjamin Mendy in the full-back positions. Raheem Sterling returns from suspension but we don't expect him to feature from the off. Sergio Aguero and Gabriel Jesus are likely to spearhead the attack once again, with Leroy Sanè favourite to grab the third attacking spot. City are unbeaten in 11 games against Watford and they romped to a 5-0 victory at Vicarage Road in last season's final day. MANCHESTER CITY (4-1-2-3): Ederson; Walker, Stones, Otamendi, Mendy; Fernandinho; De Bruyne, David Silva; Sanè, Gabriel Jesus, Aguero. "Watford v Manchester City betting tips, predictions, lineups, odds and free bets (Premier League - 16.9.2017)"